This is a neat trick I just learned of at the Gmail blog. 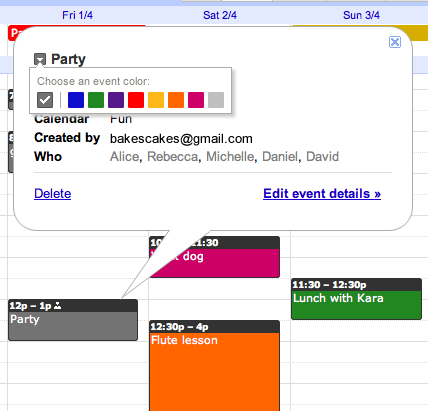 Just click on an event, then click the colored square in the top left of the pop-up bubble and pick a new color. If you don’t see this option quite yet, hang tight — it’ll be there for everyone within the next day or so.